Thank you for your cooperation in making sure you drop off your students in the morning after 7 am and have them picked up in the afternoon before 3:30 pm. As mentioned last week, because of limited supervision and in the interest of safety, we cannot allow students in the building prior to 7 or allow them to stay in the building (unless they are part of a supervised club or sports team) after 3:30. Thanks for your support and for helping us keep all students safe and supervised at all times. How can we (students, parents and staff) support the DCIS school culture? How can consistent and shared expectations improve school culture? How can we maintain passion for our school mission in a "post-application" world? Culture: Define the culture, communicate it, and make it clear and visible within the building; make it even clearer to prospective students and parents exactly who we are and who we aren't. Onboarding: Revamp 6th and 9th grade academies, and continue with culture training refreshers throughout the year for all grades — could use advisement for this (and for building culture); provide specific, detailed onboarding for staff; use older students to mentor younger students; use veteran teachers to mentor newer teachers. Discipline: Create clear expectations and rules; make them consistent across the school; communicate them to staff, students and parents; and enforce them. Rules may differ between middle school and high school as those groups of students have different needs. Two groups mentioned hiring a dean of students to oversee school culture and discipline. Some groups suggested having more events for families to celebrate DCIS students and to increase parent involvement. If you did not have the chance to attend the meeting but would like to add your ideas to the list OR if you attended but have additional thoughts to share, you can anonymously respond to the same three questions here. In other news, the choice of studies process for students currently in grades 8-11 will begin in the next few weeks. All students will have time with a counselor to discuss course options, graduation requirements, etc. Students will select their courses online via Infinite Campus, and parents will be able to view and edit their child's course requests via Parent Portal during a two- to three-week window. Students currently in grades 6-7 will be placed into 7th or 8th grade schedules respectively, without needing to go through the choice of studies process. Look for more information in the coming weeks. And finally, a request ... DCIS needs tissues! Classrooms are in desperate need of tissues, so if you can send a box or two with your child, please do. Believe me, hundreds of runny noses thank you! The PTSA School Beautification team is looking for photos of DCIS and its students, DCIS student and staff travels (local and abroad), and general scenic photos of different regions of the world, which will be displayed in the front entrance and hallways of the school. Please email any photos you'd like to share to BeautifyDCIS@gmail.com. Because most of these photos will need to be enlarged, please send us photos with sufficient resolution. Also, please include a short description or label of the photo (for example, "Photo of DCIS Trip to Costa Rica" or "Great Wall, China" or the names and grade levels of the students in the photos, where appropriate). We also need volunteers to help with creating these photo displays and other parts of the beautification project. To see a slideshow of the team's vision for the school, learn more details about the plan or to sign up to help, click here. There are several ways you can raise your hand, by making a donation, helping from home on your own time or helping to put things up at school. This project is happening now, so if you'd like to help, please sign up today! Board members must be in grades 8–12, be at least 13 years old and have parental permission to participate on the board. Board members attend monthly meetings and monthly author events. A board member who misses more than three scheduled events (either the monthly meeting or the author event) will forfeit their position on the board. Apply here. 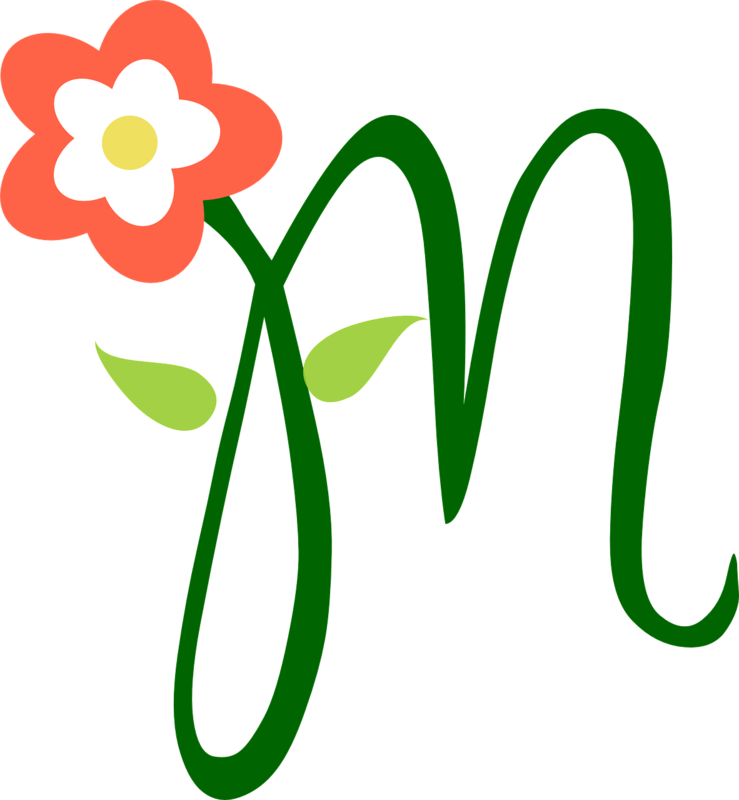 Morey Middle School invites DPS families and students in all grades to their GT Family Fun Nights, both on Thursday, March 2 and April 27, 6–8 pm, 840 E. 14th Ave., Denver. Led by DPS gifted and talented high school students, each session will focus on a point of advocacy, providing a learning session for parents and a fun service learning activity for all. RSVP here or email Rebecca for more info. Discovery Link, DPS's after-school program, is hosting its first Summer Opportunities Fair at Teller Elementary, Wednesday, March 15, 6–8 pm. More than 100 day and overnight camps, summer classes and unique program providers will be present to meet with families and talk about options available for kids ages 4-18 this summer. FREE and fun for the whole family! For more information, click here. Please email any questions to Larry Gile, West HS Athletic Director, at Larry_gile@dpsk12.org. Get your questions about immigration and citizenship answered by an attorney who specializes in immigration and citizenship law. FREE. The BP Global Citizens of Tomorrow scholarship program provides full scholarships to financially challenged students ages 15–18 with strong academic records, an interest in the STEM fields and a desire to study abroad for a year in Brazil or India. Application deadline is MARCH 9! For more information and to apply, click here. If you're looking for a reason or two or three to host an exchange student, short term or longer, please read this article, "What Foreign Students Can Teach Host Families About America," by Donna Bryson, a DCIS parent and host family pro! In this global world, one can easily reach across the table to share cultures right here in Denver or wherever you live! Thank you, Donna, for your words of wisdom. Stop by the Travel Center or email Geri Badler (address below) to learn about a variety of summer programs. President Lincoln was a champion wrestler, winning all but one of his 300 matches. President Garfield was ambidextrous and could write in Greek with one hand and in Latin with the other at the same time. President Hoover and his wife lived in China for a time and would speak Mandarin in the White House when they wanted to have a private conversation. President Obama's experience working at a Baskin-Robbins as a teen led him to hate ice cream. I hope you are enjoying springtime in February as much as I am! Students have been taking advantage of the beautiful weather to eat outside at lunchtime and soak up the sunshine. A reminder that our spring semester parent conferences are TODAY. Please make an appointment with any teachers you would like to see between the hours of 3:30 and 7 pm. Many teachers already have several time slots filled, but many slots are still vacant, so if you haven't scheduled your conferences yet, you can still do so. I also would like to remind all parents that the school building opens at 7 am. There is no supervision before then, so please do not drop off your children before 7 am. The doors will remain locked until 7 am to ensure students are safe and supervised at all times. There also is no supervision for students after 3:30 pm, so unless your child is in a supervised activity (like a club, drama rehearsals, etc. ), they must leave the school building by 3:30. An increasing number of students are staying in the building until 5 pm or later, which is not permitted. Please make plans for your child to be picked up or to ride the bus home by 3:30 every day. Thank you for your cooperation. Finally, a quick update on our very productive and well-attended Town Hall last week ... We are in the process of capturing all the ideas participants wrote on chart paper throughout the meeting and will send that out next week. In the meantime, I can tell you about several major themes that emerged. One is around the need for more intensive on-boarding for both students and staff to underscore the core values and mission of the school. Examples might include changes to our interview and training process for new teachers, and revamping our 6th and 9th grade academies to front-load more information about the importance of being committed to DCIS and our school model. Another major theme is the need for consistent application by staff members of school policies related to, for example, hall passes, cell phone use and tardies. A third major theme is the need for additional resources and planning to accommodate the changes in our school that have resulted from the elimination of the interview/application process. Examples include the need to hire a dean of students for clear and consistent discipline, additional social/emotional supports for students, and additional academic support for students who are functioning below grade level in mathematics and literacy. Look for more information soon and for a follow-up meeting in April to begin digging into these major themes more deeply as we move forward together as the Rising Phoenix! Enjoy the three-day weekend, with no school for students or staff on Monday, Feb. 20. Hope to see you tonight at DCIS for parent conferences. 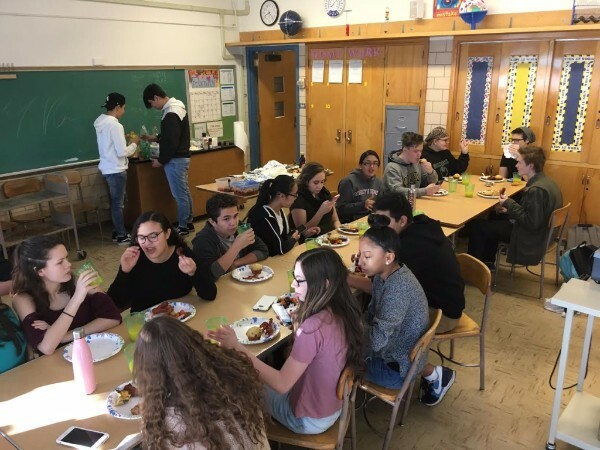 The winners of the PTSA's coffee fundraiser last semester got to enjoy one of their class prizes on Wednesday, Feb. 15 — a homemade gourmet breakfast. Ms. Cox's class (top photo) won for highest participation and chowed down on egg sausage casserole, hazelnut waffles, banana chocolate chip pancakes, cinnamon chip scones, bacon, fruit salad and orange juice. 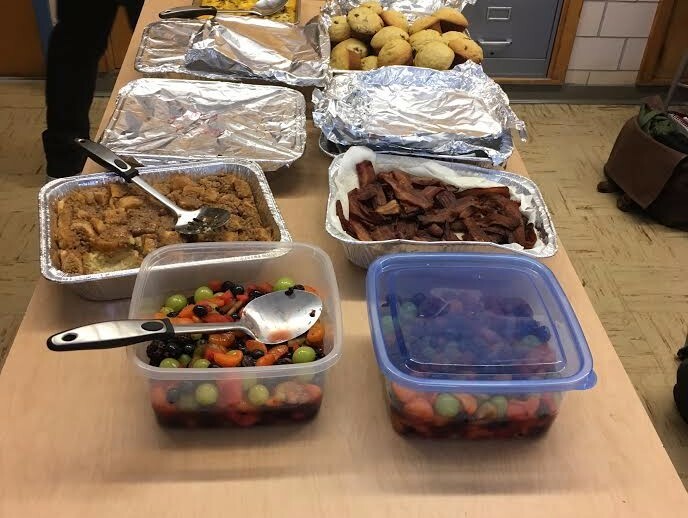 Mr. Brown's class (bottom right) raised the most money and enjoyed egg sausage casserole, baked french toast, chocolate chip muffins, bacon, fruit salad and orange juice (pictured below). Congratulations to all! SCAM ALERT: Just a heads-up about an email you might receive suggesting you "apply for the Pell grant." The email asks for your Social Security number, among other information. DO NOT RESPOND TO IT! The email is bogus and may be used to gather identifying information. Your FAFSA application, not this email, is your Pell grant application. Check out the Adelina Gomez Scholars Summer Institute at the University of Colorado–Colorado Springs. Applications are due April 14. More information here. The Medical Career Collaborative (MC²) is a two-year program and requires a commitment from selected students for both years (junior and senior year). Based on this timeline, the MC² selection committee will accept applications only from students who are currently in their sophomore year. Download the application here. Registration for next year's courses will begin next month. Students in grades 9–11 will be bringing home a registration form with course offerings. Students are encouraged to speak to their parents about courses and choice of study. More information will be provided in the upcoming weeks. Most colleges require students to take general education "core courses" (English, reading, math and social science), regardless of their major, which provide students with the critical, analytic and writing skills they need to be educated, well-informed members of society. This exhibition of more than 60 photo-based works by 12 artists living in the U.S. and abroad reflects the tension inherent in the presence, or absence, of people in a place, whether in their native land or abroad. The artists, all who are affected by the Middle East diaspora of the past 20 years, explore what it means to leave something, and in some cases, someone, behind, whether by choice or by force, and how cultural heritage and the past are interwoven with the present. FREE. Center for Visual Art (CVA), 965 Santa Fe Drive, Denver 80204. More info here. 965 Gallery, a student-run gallery within the CVA, will feature a photography exhibition — concurrent with PRESENCE — of four artists exploring natural environments and their relation to them. FREE. More info here. Film has the power to awaken us to the world around us, educate us on important issues and inspire us to act. This year's festival features 48 films from around the world — from Fairview High School in Boulder to the Zanskar Valley of northwest India, from Joshua Tree National Park to British Columbia. These films tell the story of the Flint, Michigan water crisis and allow viewers to compare and contrast that to development of the third-largest hydroelectric dam on the Amazon River in Brazil. FREE. Thursday–Saturday, Feb. 23–25, American Mountaineering Center, 710 10th St., Golden. Student filmmakers can also submit work for next year's festival. More info here. This free after-school workshop allows youths 11–21 to experiment with manipulating photography. Learn more here. We still have a number of out-of-state college travel stipends available. The stipends are for $150 to go toward plane fare. 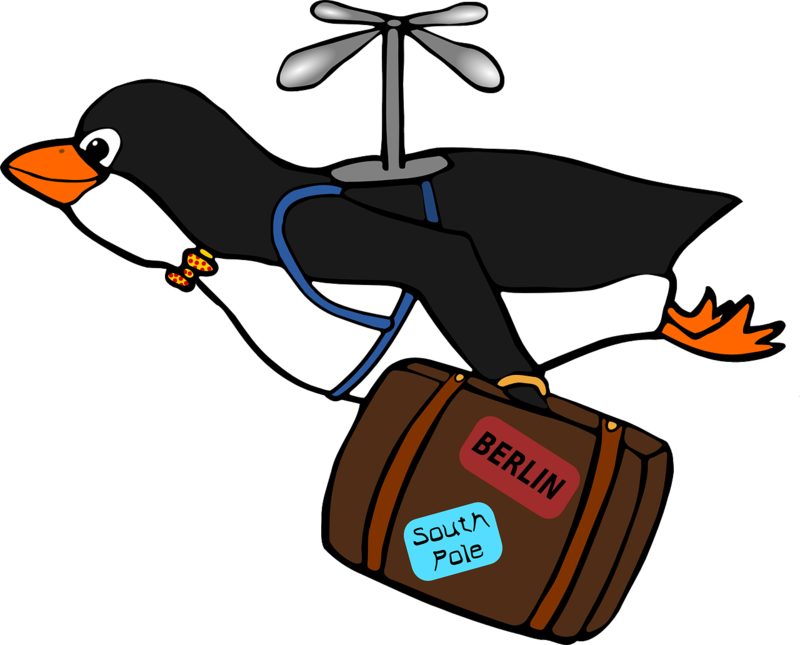 Stipends are a reimbursement after travel, upon submission of an airline receipt and a written reflection of the experience. Please apply with your counselor. Double stipends ($300) will be considered but must be approved. Stipends are available on a first-come, first-served basis. 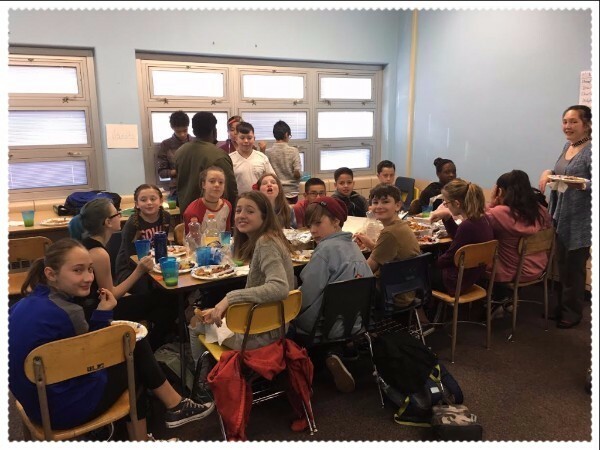 If you are looking for a reason or two or three to host an exchange student, short term or longer, please read this article, "What Foreign Students Can Teach Host Families About America," by Donna Bryson, a DCIS parent and host family pro! In this global world, one can easily reach across the table to share cultures right here in Denver or wherever you live! Thank you, Donna, for your words of wisdom. There is no spot in Central America more than 125 miles from the ocean. Belize is 1,195 square miles larger than El Salvador, but El Salvador has 30 times the population. El Salvador gave more than 40,000 Jews fake citizenship papers to save them from concentration camps during World War II. When the TV show "Breaking Bad" used "trip to Belize" as a euphemism for murder, the Belize Tourism Board wrote a letter offering the whole cast an actual trip to Belize.